We’ve been working closely with leading film and TV information publishers KAYS to develop a new Bristol app to help boost the employment of local crew and facilities in the South West. 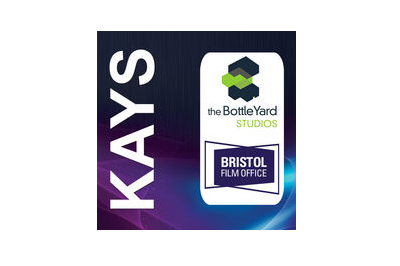 The new KAYS Bristol app, delivered in association with The Bottle Yard Studios, is now available for iPhone and Android. Whether you’re looking for cameras, props, costumes, studios, catering, lighting, freelance crew or just about anything else, the Kays Bristol app is the ultimate guide. Covering a 50 mile radius of Bristol, the app features its own unique search tools, including the ability to search by recent credits to see who’s working on the latest productions. It also features a new ‘Jobs Board’, where users can see the latest vacancies available in the film and TV industry. The app is constantly being updated, ensuring that you will always have the latest contact information to hand. To access the app, simply download it from your app store by searching for ‘KAYS Bristol’ and sign in with your KAYS login details. If you’re not already registered with KAYS, simply visit www.Kays.co.uk and ‘Register’ to create your own username and password.